The National Weather Service will decide late Monday whether a three-day excessive heat warning for this week in the Las Vegas Valley will be extended. The warning period is set be in effect from 10 a.m. Tuesday until 9 p.m. Thursday. “We’re going to evaluate this afternoon and see if we’ll have to push it into Friday,” meteorologist Alex Boothe said. Monday’s high will hit 107 degrees before temperatures jump to 111 on Tuesday and 113 on Wednesday and Thursday. Friday will follow with a 110-degree high, the weather service said. Overnight lows this week will be near 89 degrees. 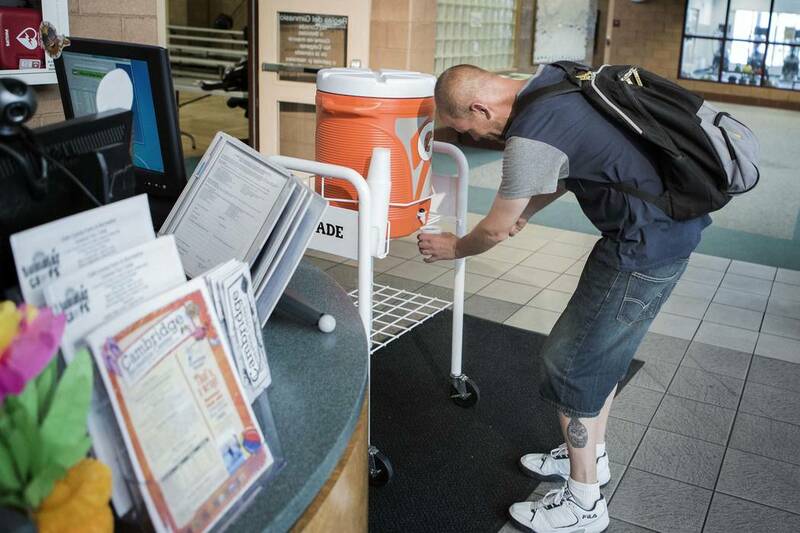 Cooling stations will be activated during the heat warning period, Clark County spokesman Erik Pappa said Friday. The stations are located throughout the Las Vegas Valley and in Laughlin. Chances for rain Monday through Saturday are expected to sit below 10 percent, although some moisture over the mountains could be pushed into the valley, the weather service said. Winds will be light this week.